The Snow Leopard Conservancy facilitates a broad-reaching program, Land of the Snow Leopard Network (LOSL). On February 2, we held an event, Celebrating the Spirit of Snow Leopards. Three of our LOSL members, Maria Azhunova, Alexander Khamaganov, and Rinchin Garmaev, traveled to San Francisco from the Southern Siberian Buryat Republic. Snow leopards are a totem animal and protector of the people who live in this region. LOSL members Maria Azhunova, Alexander Khamaganov, and Rinchin Garmaev with Rodney Jackson. 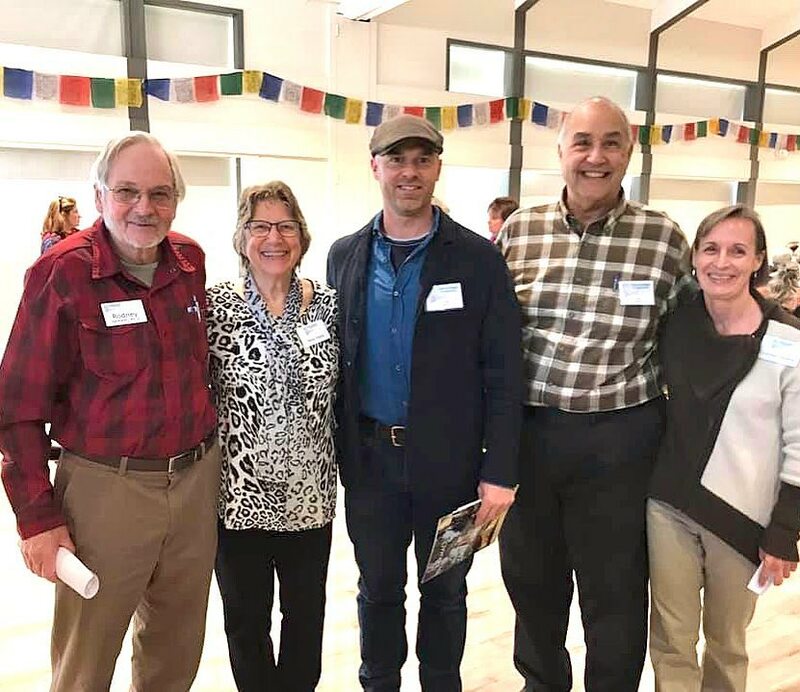 Our guest speakers presented a beautiful video about their work within the LOSL Network, and they described the importance of Indigenous Cultural Practitioners (Elders, Shamans, Sacred Site Guardians) in promoting conservation. 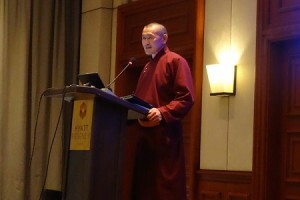 One such practitioner featured in the video is Norbu Lama. He successfully worked to gain official protected status for a sacred site in the Buryat Republic. 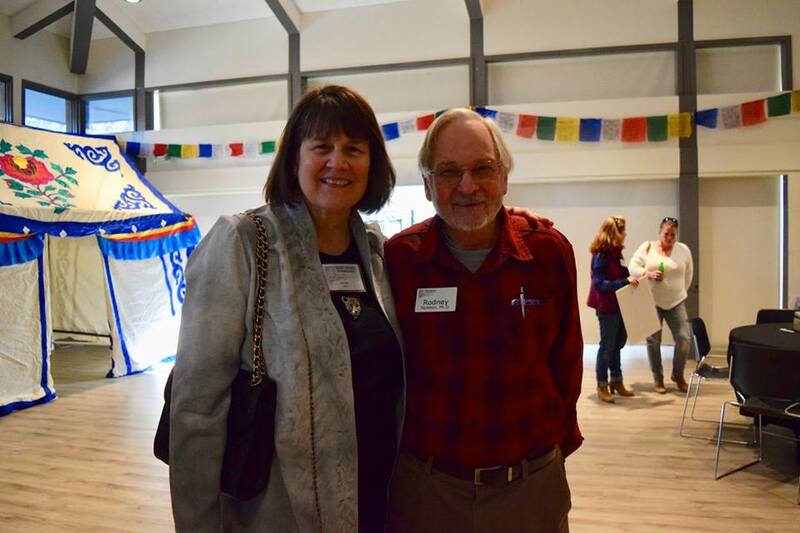 Norbu, who is a beloved community leader, is present at births, marriages, funerals, and other milestones, and his teachings are respected and heeded. When he visits a school, the children pay attention to what he says about the need to protect snow leopards and to revive the ancient traditional practices that revere and conserve nature. Guests at the event said how inspired and moved they were by the presentation. Thank you, Maria, Alexander, and Rinchin, for making the afternoon such a wonderful success! 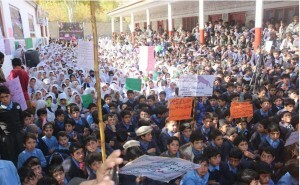 In October of 2018, the Baltistan Wildlife Conservation and Development Organization (BWCDO) together with the Education, Forest, and Wildlife Departments, Iqra Fund, and the local communities and schools, organized and celebrated a special International Snow Leopard Day event in Basha Valley Shigar Baltistan. Basha Valley is a remote area where the local people are dependent on farming and livestock for their livelihood. It’s also well known for hot springs, glaciers, and wildlife. However, the local communities were unaware of the significance of the valley’s natural resources. 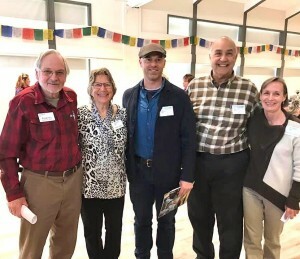 So, for the past 12 years, the BWCDO has partnered with the Snow Leopard Conservancy to create awareness and promote local community involvement in snow leopard conservation. 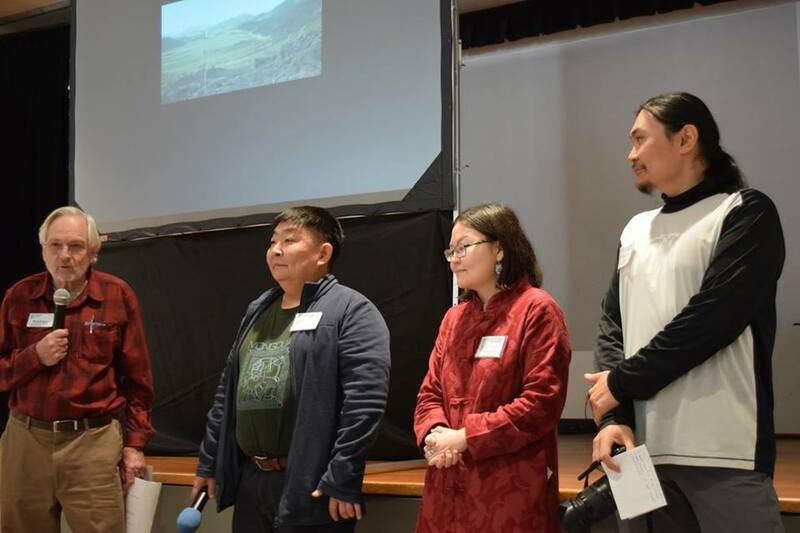 As part of the 2018 snow leopard event, 13 students participated in speech, poetry, and drawing competitions with entries focused on the challenges of snow leopard conservation. 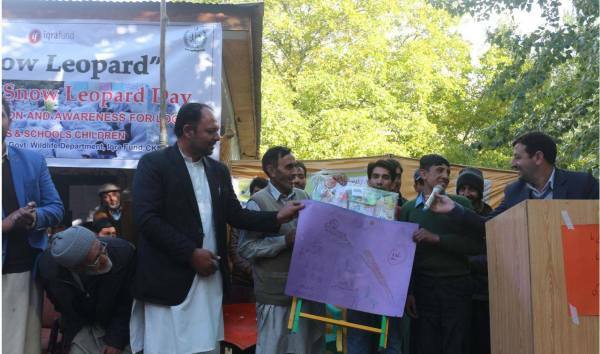 BWCDO Chief Executive Officer, Ghulam Muhammad, explained that the BWCDO works with communities to “alleviate economic hardships” due to predation by the snow leopard on livestock. They have predator-proofed corrals and implemented insurance programs that provide reimbursement for livestock losses. 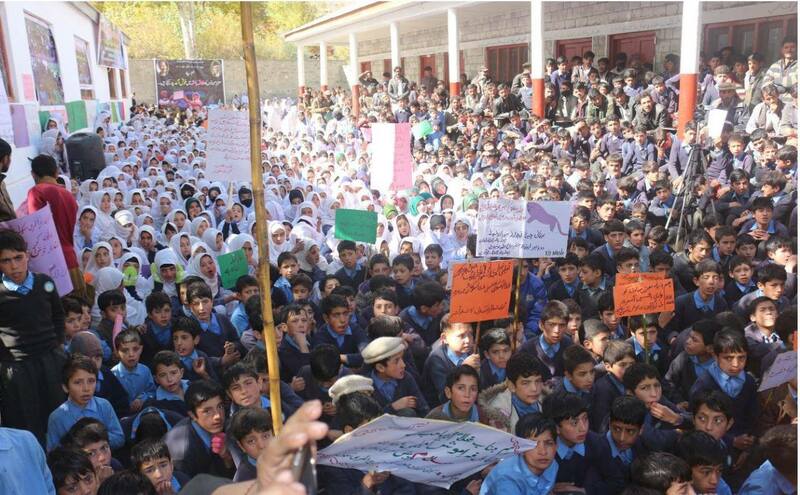 He emphasized that education is imperative in order to both reduce poverty and resolve environmental issues. 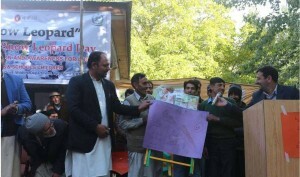 Community member, Manzoor Hussain, commended the BWCDO’s works and said that because of their efforts, the local communities are gaining an understanding of the relationship between the health of the environment and the wildlife that inhabit it and look forward to continuing to work with the BWCDO. The snow leopard species faces the threat of extinction despite both its ecological importance and spiritual significance to indigenous communities. 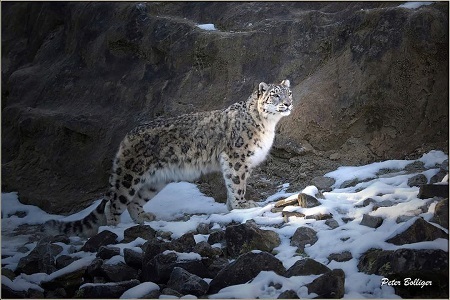 Recognizing it would take more than individual efforts to conserve snow leopards, at the first Global Snow Leopard and Ecosystem Protection Forum held in October 2013, all 12 snow leopard range countries endorsed the Bishkek Declaration. They pledged their “commitment to present and future generations…to protect and recover snow leopard populations and their fragile habitats for all people to enjoy.” A year later and annually thereafter on October 23, International Snow Leopard Day has been held in order to commemorate the anniversary of the Bishkek Declaration and to create awareness about the snow leopard. Featured photo courtesy of Jak Wonderly. Land of the Snow Leopard Network members from Buryatia, Russia, speaking about indigenous conservation practices that conserve snow leopards. Zanskar was once an independent kingdom. Its remoteness is underlined by the one four-wheel-drive road in, traversing a 14,436 foot pass. The road is closed in winter. Then, the only lifeline for the 10,000 or so people who live there is an expensive helicopter or a dangerous 60-mile walk on ice at the edge of the Zanskar River. 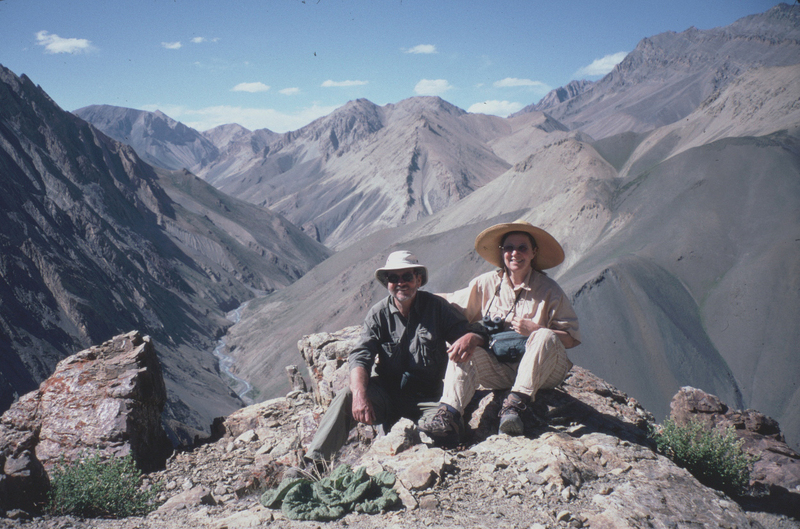 Rodney Jackson and Darla Hillard were invited to visit Zanskar in 2003, to help introduce snow leopard conservation initiatives to herders in the region’s scattered communities. Since then, your support has made the difference in helping Zanskar’s livestock herders co-exist with snow leopards. 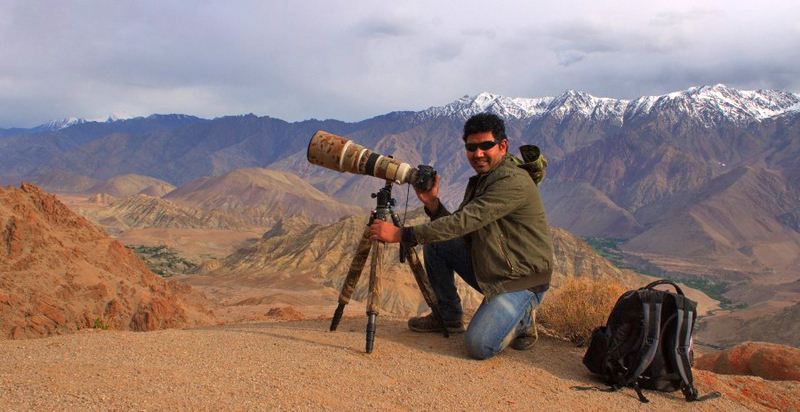 Today, Snow Leopard Conservancy India Trust (SLC-IT) leads conservation initiatives in Zanskar. 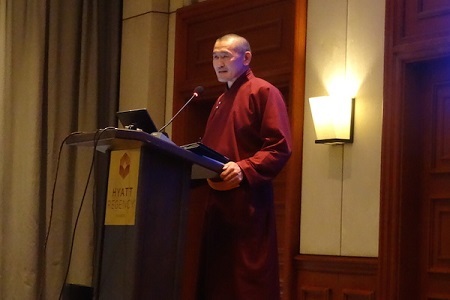 Dr. Tsewang Namgyal, who directs SLC-IT, was born and raised in a small village in the neighboring region of Ladakh. Tsewang’s love of wildlife was inspired by the open-air school he attended. Tsewang could not have imagined then that he would grow up to lead an organization that has been instrumental in saving snow leopards in both Zanskar and Ladakh. For the past three years, Tsewang and his SLC-IT team have been focusing on helping communities in Zanskar make their livestock corrals invulnerable to snow leopards. 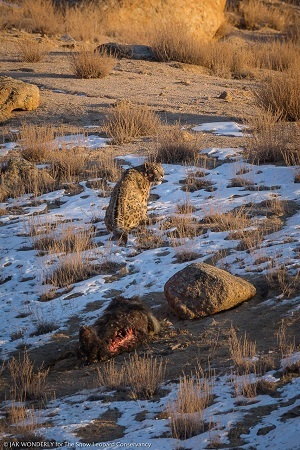 The SLC-IT team meets with herders to investigate their livestock loss to snow leopards. Survey results inform the selection of beneficiary communities. Families provide labor and local materials such as stones. The project provides wire mesh, hardware, and wood beams. It may sound fairly simple to make improvements to stone-walled livestock enclosures. But Zanskar’s remoteness presents special challenges. Cell phone service is unreliable, making it difficult to communicate with communities building new corrals and to know the status of the project. Climate change is bringing more summer rain. Flooding often obliterates roads and paths, delaying transport of materials to the project sites. Flooding delays project activities, because the villagers get involved in repairing their infrastructure. Time and patience are necessary ingredients in successful conservation action. Fortunately, we have managed to accomplish most of our goals. We are very grateful to the donor community for investing in this crucial work. Thirty-one new corrals were built such as this one in Anmu Village. More than 50 herders trained to design and build the improved corrals. The corral project was partially funded by a grant from the Australian Himalayan Foundation. Since our trek to Zanskar in 2003, a visitor’s chances of seeing a wild snow leopard in the SLC-IT program area have grown remarkably. In January of this year, photographer Jak Wonderly observed this cat for three days, watching her chase magpies off her kill. 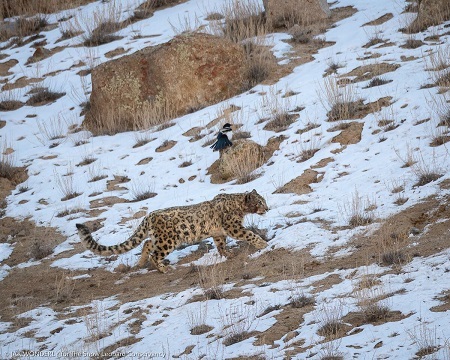 The Snow Leopard Conservancy and our partners have seen that a little help can go a long way toward creating coexistence between people and snow leopards. Donors like you have enabled us to work with herders throughout India, Mongolia, Nepal, and Pakistan to make their livestock enclosures secure. We have seen our model replicated, and we have seen communities reclaim their reverence for the animal that symbolizes their natural heritage. Please help us continue to lead the way in conservation actions that are rooted in community ownership and participation. Your year-end gift will go a long way toward saving these magnificent cats!